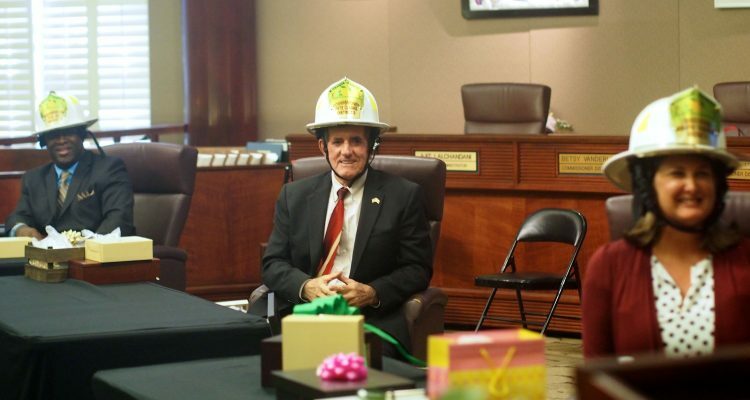 The most dramatic power change Orange County has seen in a generation in county government began Tuesday with jokes, gifts, and tributes to the three outgoing members of the Board of Commissioners and only a slightly uncomfortable air of wonder of what Mayor-elect Jerry Demings and his Democratic-controlled board will bring next month. In their last meeting as a Republican-controlled board led by outgoing Mayor Teresa Jacobs, Commissioners Rod Love, Pete Clarke, and Jennifer Thompson, all Republicans, stepped down from tenures known for efforts that cut across party lines to include both some of the most fiscally-sound policies any new board could hope to inherit, to commitments to such things as juvenile justice reform, mental health funding, and environmental protection. 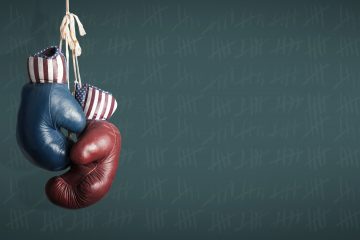 In December their replacements will be sworn in, Democrats Demings, Mayra Uribe, and Maribel Cordero, and Republican Christine Moore, flippling the county’s partisan control for the first time in 20 years, from a current 5-2 Republican advantage to a 5-2 Democratic advantage, on what is only officially a nonpartisan board. But before that transition takes form over the next three weeks, Love, Clarke and Thompson had their day Tuesday. Jacobs’ departure will be marked Friday, as she leaves next Monday to become countywide chair of the Orange County School Board. There will be no commission meetings the next two weeks, though Thompson will stick around at least on paper, in the position of acting mayor. Love has served for only seven months, having been appointed by Gov. 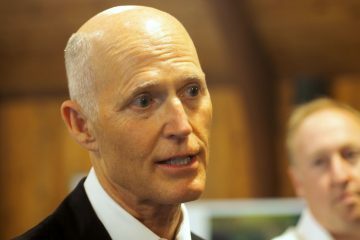 Rick Scott to fill out the rest of this year for Bryan Nelson, who resigned to run for and be elected as mayor of Apopka. Love will be succeeded by Moore in Orange County District 2, serving northwest Orange County. Jacobs lauded Love for coming in with an agenda to address corrections and juvenile justice reform, and to create empowerment zones to help children in South Apopka, and to find money to transform an adult vocational school in Apopka, and for succeeding. “It is very rare to have a gubernatorial appointment who comes in to fill someone’s seat for a short period of time who comes in with so much to offer and so much passion to get things done,” Jacobs said. Clarke served for six years. He resigned midway through his second term to run for Orange County mayor, losing to Demings. He’ll be replaced by Uribe in Orange County District 3, serving south-central Orange County. Jacobs started by reminding of Clarke’s longtime efforts to address areas such as human trafficking, including creating a first-of-its-kind human trafficking shelter in Orange County. 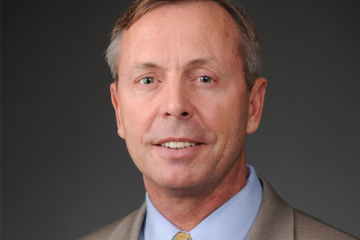 Clarke also was known for overseeing major changes in the county’s mental health services, and for commitments to environmental policy, including sponsoring the county’s fracking ban. But Jacobs pointed to his ability to work on the human side of government services. Thompson is leaving after two full four-year terms. She’s being succeeded by Cordero in Orange County Distict 4 covering southwest Orange County. Cordero’s election was secured only Monday night, over Thompson’s longtime aide Susan Makowski, with the results of the county’s vote recount in her race. 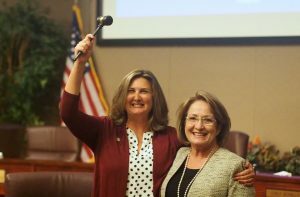 Thompson always has been the board’s source of tension-cracking humor, as she displayed Tuesday elevating the mayor’s gavel as if it were a championship trophy. Jacobs reminded everyone of her work on issues including from transit, new special-needs playgrounds, and helping the Back to Nature wildlife refuge find a new home. “Your humor is incredibly important in these serious times but some of the things that I am really proud of here in Orange County, the work on the human issues,” Jacobs said.